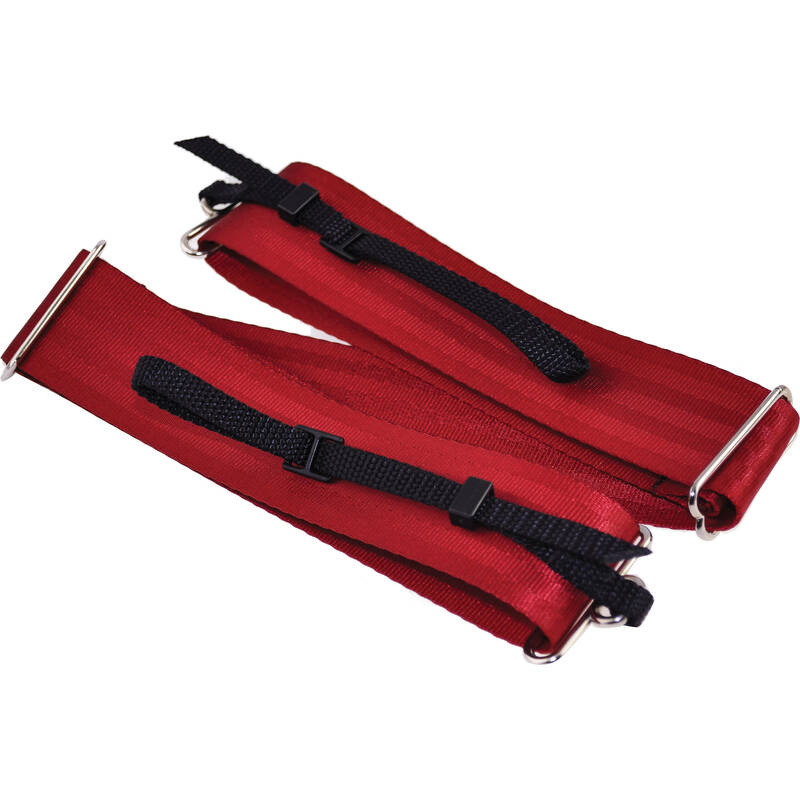 Adjustable Length: 36 to 63"
The dark red Custom 2" Camera Strap from Souldier is fully adjustable from 36 to 63" at four points-two on the strap body and two on the ends of the black webbing that back threads to your camera's strap lug. The strap is made from a cotton/polyester fabric blend on front with a backing of recycled seat belt material. It includes all silver hardware. The strap can be worn either cross body style or over your shoulder. The dark red Custom 2" Camera Strap is handmade in the USA and backed by Souldier's limited lifetime warranty against defects. Box Dimensions (LxWxH) 9.1 x 1.0 x 0.9"
Custom 2" Camera Strap (Dark Red) is rated 5.0 out of 5 by 6. Rated 5 out of 5 by unpaid volunteer from LOVE IT! My wife and I photograph horse shows using 70-200 f2.8 lenses, and they get very heavy after 6-10 hours around the neck. This strap is long enough to use the strap over 1 shoulder, across my body, greatly reducing the strain on my lower back. The strap is soft, seems plenty strong enough, and I have one on each of the camera's I'm likely to use with a heavy lens. Rated 5 out of 5 by HomerOdysseyFamily from Hang on! We got three colors (1 each): black, gray, red. All are excellent. Strap is comfortable. Easy to put onto camera and easy to adjust length. Seems quite durable (hopefully so since they are seatbelt straps!). The camera is only a tinse over a pound, so strain on strap is nearly nill. There is no quick release. Rated 5 out of 5 by HomerOdysseyFamily from Safe in the car, safe on my shoulder! Strap is on Canon sx60hs. Easy installation. Excellent length adjustments. Nice color. A little bit slippery, but used criss-cross over body and works great. Got straps for the whole family in different colors. All happy. Highly recommend in all colors! Rated 5 out of 5 by me with the three from Love this strap! I love the style of this. Simple but really stylish! Rated 5 out of 5 by Thomas R. J. from Great camera strap and conversation piece I guess there are many reason I ordered this particular strap...American made, adjustment range greater than most, made with repurposed materials. It is living up to my expectations. It is very well made. Love the color. Love the adjustable length. It is far more comfortable around my neck than the OEM strap that was stiffer and lined with plastic that made it very uncomfortable. Do any owners have problems with the metal buckles scratching the camera?